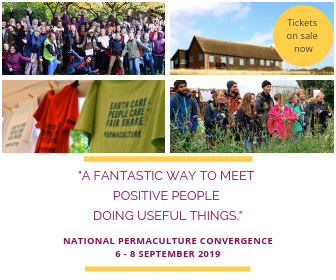 Special emphasis will be put in creating a temporary community for the duration of the course, where we use social permaculture tools to make sure everyones needs are met, so we can all enjoy living together in a joyful, supportive learning environment. The cost for the training is based on gift economy. We need to raise on average €280 per person. However we invite you to propose how much you would like to contribute. We encourage those of you who can contribute more to do so, which should allow us to cover our costs. To ensure we keep the food costs and quality at a level the students require, we are adopting the tried and tested self organising method. This means we will ask you to either bring enough food ingredients to cover your food needs for the duration of the course or bring a mix of food and cash. The food could include home grown veg, grains, preserves, etc. The cash will go into a pot which will be used to buy food as and when required, which will be managed by an elected group of participants. We kindly request everyone to only bring vegan, vegetarian food, which we will pool together and collaboratively cook in teams. If appropriate fresh organic veg will be contributed from the venue.